Nissan has confirmed plans to reveal a refreshed version of the Maxima sedan at this year’s Los Angeles Auto Show. In fact, the automaker has already issued its first official photo of the 2019 Maxima. The singular photo of the refresh shows off a new front clip design that features a deeper “V-motion” grille design than the 2016-18 car. The more dramatic grille is flanked by redesigned fog lamps and headlights that are the same shape as today’s car, but house more detailed bezels. The headlights also feature more dramatic LED lighting. 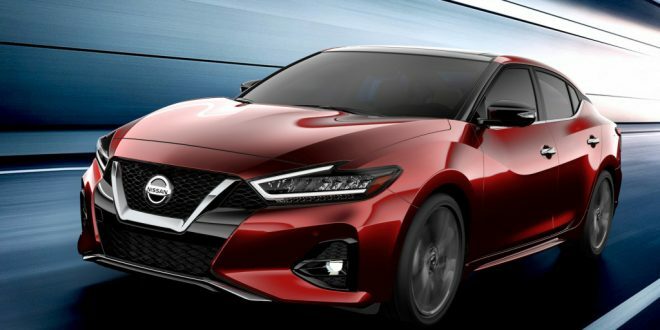 At first glance, the refresh appears to be Nissan’s approach to making the Maxima fit in better with the all-new 2019 Altima. Given the current Maxima has only been on the market since 2016, it’s a bit surprising it’s already getting a refresh. Nissan hasn’t confirmed any details on the car, so it is unclear if the interior and powertrain lineup are getting any kind of work-over for 2019. Expect the rest of the details next month at the car’s reveal in LA.